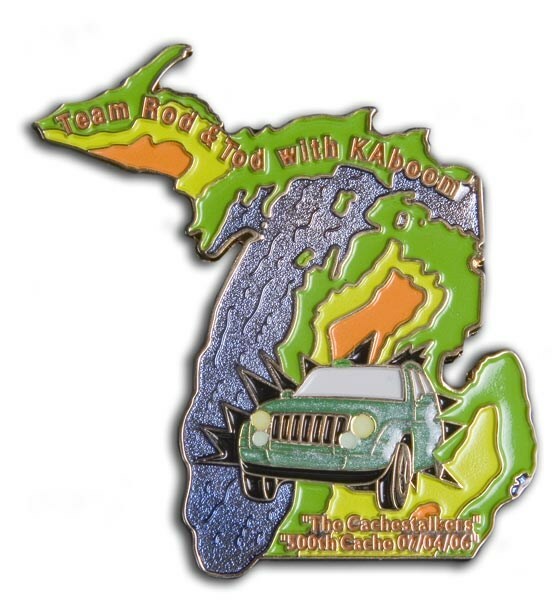 (TB1A7A6) Rockin Roddy's Cachestalkers Geocoin - ***STOLEN/MIA*** Todie's Wild Ride: awareness for motorcyclist sharing the roadways!! ***STOLEN/MIA*** Todie's Wild Ride: awareness for motorcyclist sharing the roadways!! Use TB1A7A6 to reference this item. To advocate a safer riding environment for motorcylist by travelling and spreading awareness to everyone about motorcycle safety and sharing the roadway with motorcyclist. Help spread the word about Motorcycle Safety! Gallery Images related to ***STOLEN/MIA*** Todie's Wild Ride: awareness for motorcyclist sharing the roadways!! We're headed to Georgia this month, and I see it hasn't been there yet. We'll give it a ride out. Retrieved from You Rock with the family. This is our first travel bug find. Planning to take this bug out to see some dinosaurs tomorrow. Discovered at the Dance with the Devil in the Pale Moonlight event. Sadly this is not the first trackable we have found memorializing the life of a rider killed in traffic. Grabbed this from Kit Fox at his Moonlight Hike Event. A pretty cool coin, with a great mission. This coming from someone who found themself on the roof of a Toyota Camery headed down the 405 freeway after a lane change mishap on my 1st bike. We will definately move it along for others to see. I'll keep this coin moving.